Older Jeep Commanders and Jeep Grand Cherokees were recalled by Chrysler for an ignition switch problem. 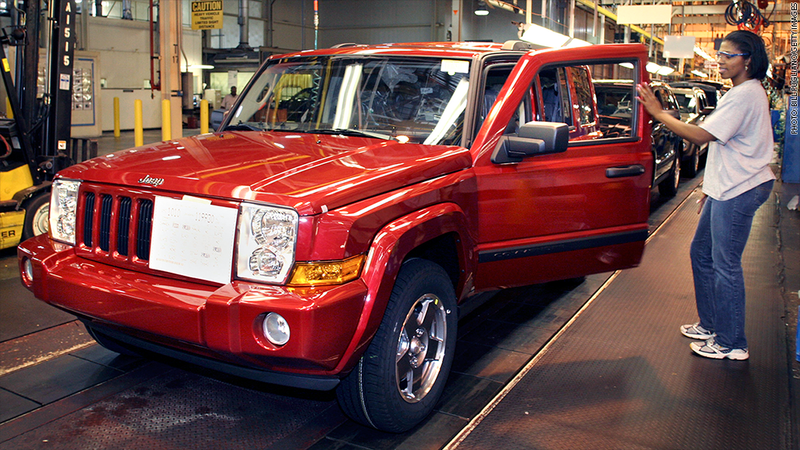 Chrysler recalled about 792,000 older SUVs Tuesday for ignition switch problems. The flaw affects Jeep Commanders from model years 2006-2007 and Jeep Grand Cherokees from 2005-2007. The issue is linked to one accident, but the company is unaware of any related injuries. The problem can cause the ignition key to move out of the "on" position while the car is being driven, usually because it was bumped by a driver's knee, the company said in a statement. That could cause the engine to stall and the front airbags to stop working. Problems with ignition switches have been found in millions of vehicles recalled this year. Chrysler recalled 696,000 minivans and SUVs for a similar issue in June. General Motors (GM) is currently under investigation after it took ten years to recall 2.6 million vehicles for an ignition switch problem that has been linked to at least 13 deaths. It found a problem with the same part in 11.6 million vehicles it recalled in June. The ignition switch in the GM cars was made by Delphi, a major U.S. auto parts supplier. A Chrysler spokesman would not say what company made the ignition switch in its recalled cars. The exact number of vehicles recalled will be determined later after an investigation. Chrysler will contact affected customers by mid-September. At that point, they can bring their vehicles to a dealership to be repaired. Until then, the automaker is urging drivers to make sure there is plenty of room between their knees and the ignition key while driving, and to remove all other items from the key ring. Newer models of the Jeep Grand Cherokee are not affected because the model has been completely redesigned. The Commander is no longer in production.